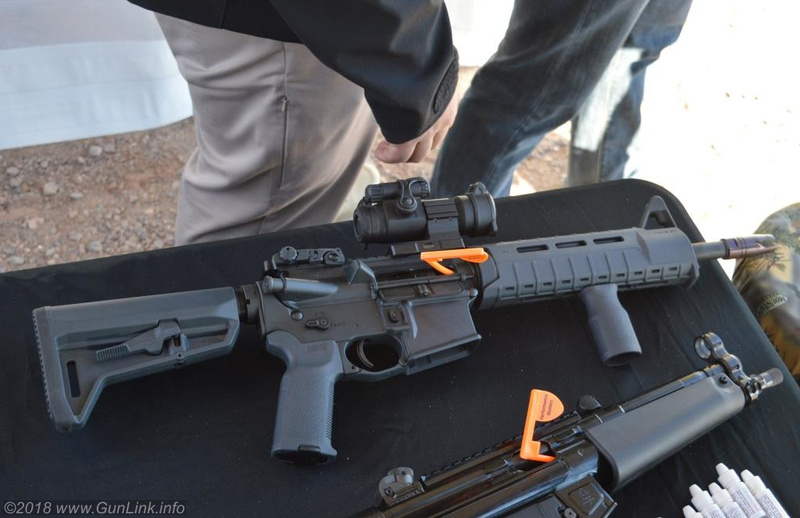 Rumors swept the internet, along with speculation on how Franklin Armory had achieved this feat, if they had achieved it at all – many thought that the company was just trolling to generate buzz and that the new firearm, dubbed the Reformation, was just their 11.5″ SBR and that the entire campaign was a hoax. Everyone loves a good puzzle, and the only clues in the initial release were that the Reformation sported an 11.5″ barrel, a Magpul SL stock (not a brace), that it used patented “NRS” technology, and that it required no NFA tax stamp. Guesses at how this was done included things like the stock being pinned to make it unusable as a stock (instead, being capable of functioning only as a cheek rest), having a smooth bore (no rifling, no short-barreled rifle) – with or without guesses at special ammunition like a rifled shotgun slug, firing only on release (to skirt the definition of one round per trigger pull), and other theories. 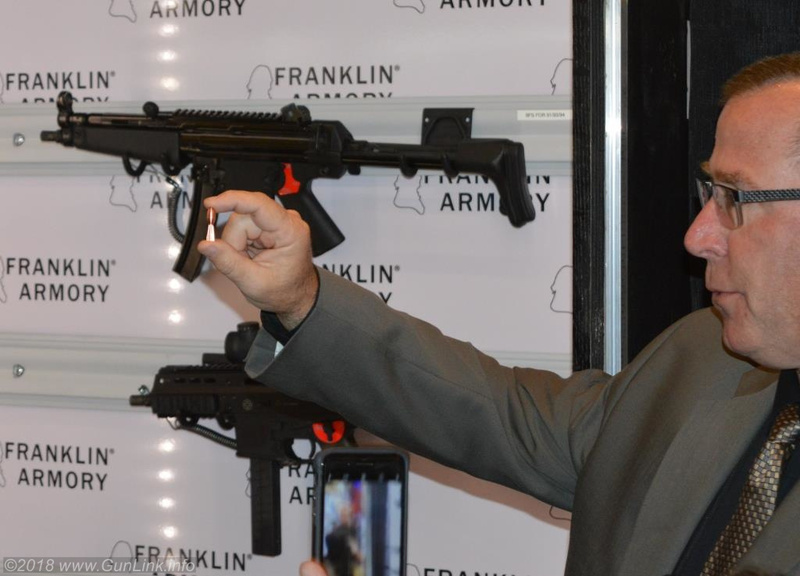 This is not the first time that the designers at Franklin Armory were able to dance around BATFE definitions of certain classes of firearms (see the XO-26, which sports a short barrel, pistol brace, and VFG, yet is not an AOW). The company played the Reformation release close to their vest, letting the shooting community continue to guess right up through their SHOT Show announcement. At SHOT Show’s Industry Day at the Range, firearms media and qualified buyers had the chance to handle the weapon and actually fire it. I was certain that I would get to the front of the shooting bench and experience an “A-HA, I knew it!” moment when I found my pet theory to be true and saw the pinned-forward “cheek rest” stock. Not so. The Magpul SL stock functioned normally and could be adjusted to each available position, comfortable enough for everyone on our team, from lanky to T-Rex armed, to hold and shoot. 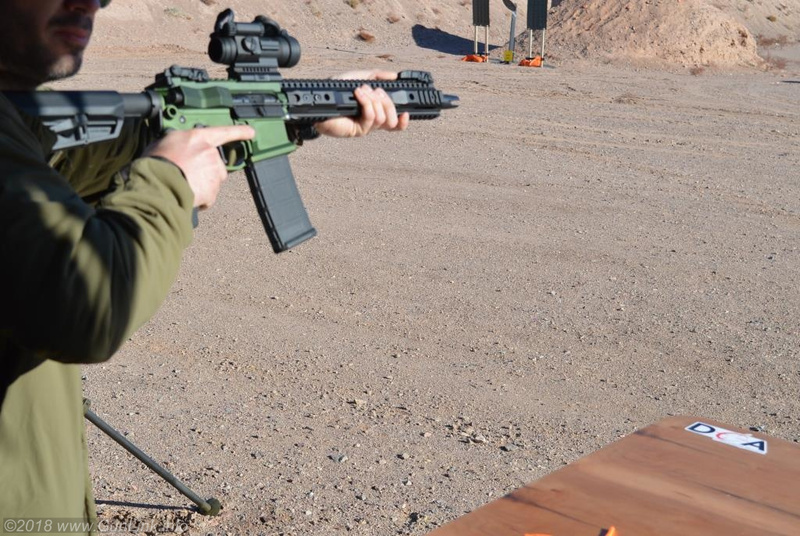 At first glance, we still couldn’t figure out why the Reformation was not an SBR – complete with an adjustable stock, the binary firing system, and magazines loaded with standard off-the-shelf 5.56mm ammunition from a known manufacturer. When fired, the weapon handled like any other AR-pattern Modern Sporting Rifle and making 50-100 yard hits on the downrange steel torsos. 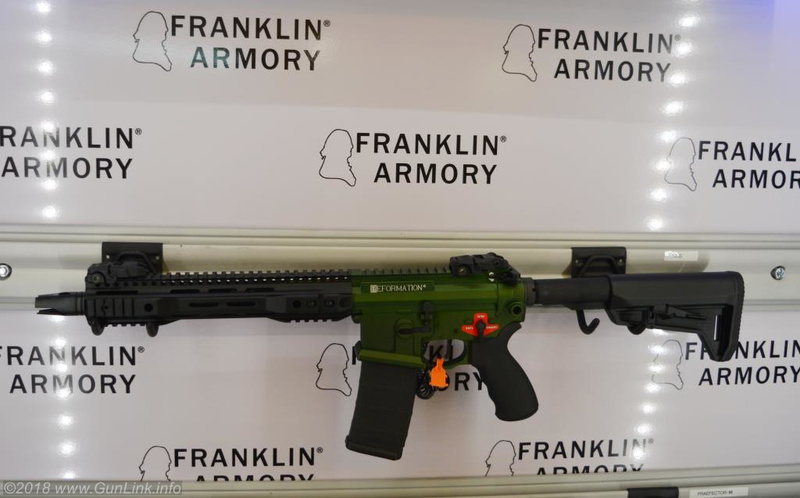 Still, though, Franklin Armory reps at Range Day were tight lipped, providing no further hints and inviting us to the official release and announcement the following day at their SHOT Show booth on the first official day of the show. At the Tuesday press conference, Franklin finally spilled the beans. The 11.5″ barrel of the Franklin Armory Reformation has lands and grooves cut into it but, instead of being spiral cut as rifling, they run straight down the barrel parallel to the bore axis. The big surprise was that their “NRS Technology” is non-rifled stabilization and utilizes straight-cut lands and grooves (SCLG). 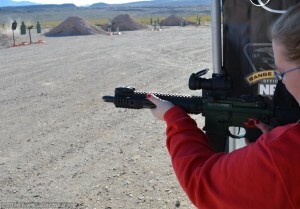 But how well can a non-rifled firearm shove a projectile downrange? 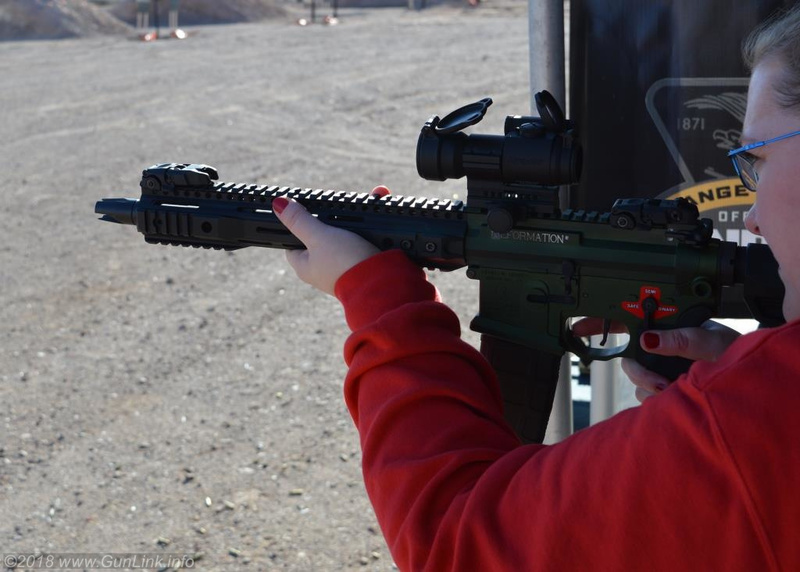 Well, the shots that Range Day attendees got to make wouldn’t impress anyone at Camp Perry – plugging away at CQB to intermediate distances with passable accuracy to make noise on a person-sized steel target. The company claims 4 MOA accuracy with commercial off-the-shelf and, in a practical sense, 4-inch groups at 100 yards is plenty tight enough to have fun at the range or make clean shots in a home defense scenario. That 4 MOA accuracy, the developers claimed at the announcement, can be tightened up to nearly 1 MOA by using their special, purpose-built ammunition. 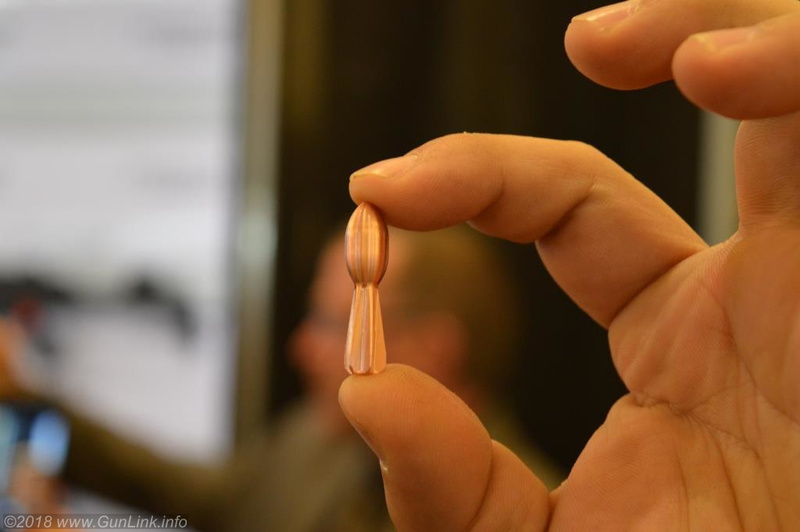 This special (and, undoubtedly, pricey) ammo looks like a scaled down, machined copper Nerf Vortex football, with a fat, rounded head and finned tail on the back that will help further stabilize the projectile as it flies. It wasn’t clear whether the fins simply help the projectile fly straight, or if they engage the SCLG to impart spin (from the examples that we saw, it appears to be the latter), but we spoke with one of the engineers on the project (who was positively giddy about working on the new projectiles). We are also not sure if the Nerf Vortex projectile that we saw would be the final version that goes to market. The engineer showed us several other prototype projectiles that varied greatly and resembled everything from an elongated rifled slug to other finned designs, although, due to the nature of R&D, photos of the other projectiles were not allowed. One of the first thoughts that entered my mind was the price and availability of the specialized ammunition. The Franklin reps told us that they had greatly ramped up their facilities in terms of ability and output, and would be performing all of the production in house. Once the projectiles are finalized, they say that they should be able to crank out hefty volumes of the special, more accurate ammunition. While it is unlikely to be as low as some of the “salad days” pricing that we are currently seeing on commercial ammunition, high volumes will hopefully keep the prices from being astronomically high. 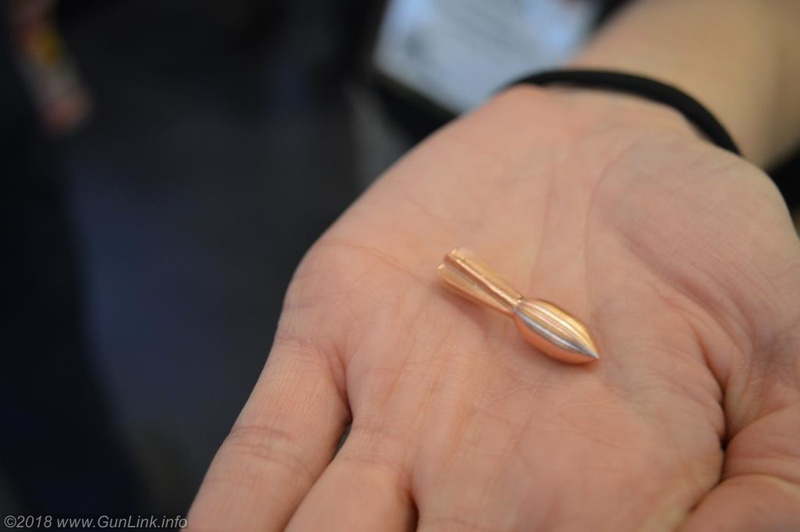 And, for those who want to pinch pennies on ammo, the backwards-compatibility with standard ammo that provides reasonably acceptable accuracy is always there as a backup plan. So there it is: the Franklin Armory Reformation is ostensibly a non-NFA-regulated firearm with all of the surface features of a short barreled rifle, reasonable accuracy with opportunity for improvement (at a price), and no need for tax stamps or travelling papers. Is it a viable weapon? Is it the future of firearms? 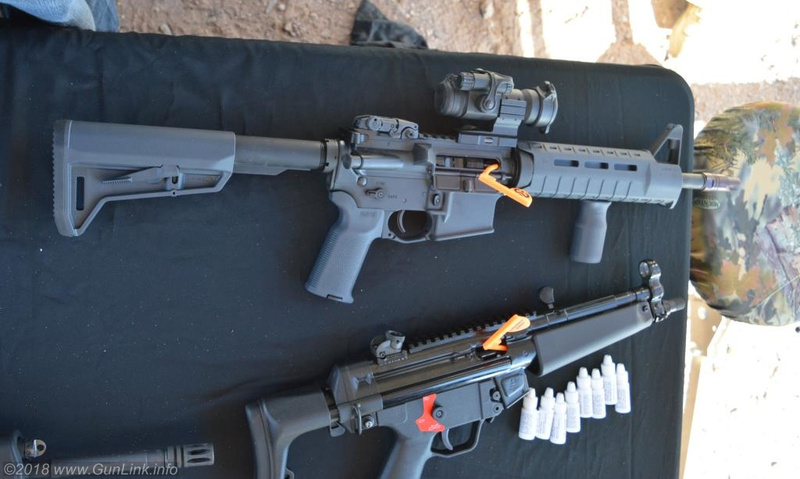 Is this the new “Sig Brace” trend of escaping NFA rules? Or is it just a toy that points out the absurdity of a set of regulations that the ATF will approve or disapprove based on some arguably arbitrary point (this barrel length is OK, but ¼” shorter and you go to jail; these lines going straight are OK, but if they twist, you go to jail)? 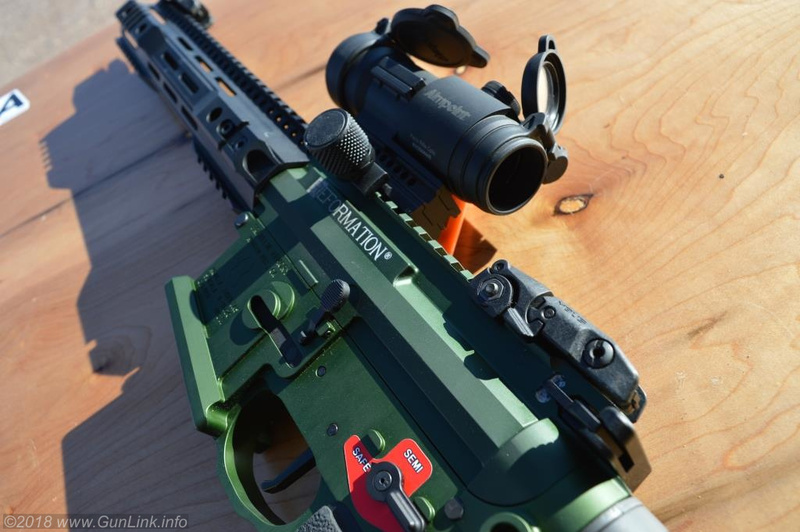 Discuss the Franklin Armory Reformation in the comments below or on the GunLink Forums. It’s actually helpful information, thanks for sharing.